Carbon fiber material is a new type of material rising in recent years. Because of its excellent physical properties, it is widely used in military, aerospace, aviation and other fields. With the continuous innovation of carbon fiber technology, carbon fiber costs continue to reduce, and carbon fiber materials are gradually used in people’s daily life. In this paper, the characteristics of carbon fiber materials are introduced, around the development of carbon fiber applications and technology, to illustrate the representative application of carbon fiber materials excellent performance and wide use. 张菡英, 刘明. 碳纤维复合材料的发展及应用[J]. 工程塑料应用, 2015, 43(11): 132-135. 李威, 郭权锋. 碳纤维复合材料在航天领域的应用[J]. 中国光学, 2011, 4(3): 201-212. 晓婷. 碳纤维的知识介绍[J]. 中国纤检, 2009(12): 70. 赵凯, 陈虹, 张婧, 于今, 张定金. 碳纤维复合材料在无人机上的应用[J]. 高科技纤维与应用, 2015, 40(4): 39-43. Gao, A.J., Gu, Y.Z., Wu, Q., Yuan, C., Li, M. and Zhang, Z.G. (2015) Influence of Processing Temperature on Interfacial Behavior of HKT800 Carbon Fiber with BMI and Epoxy Matrices. Chinese Journal of Aeronautics, 28, 1255-1262. Wang, L.B., Wu, Y. and Noori, M. (2015) Parameters of Static Response of Carbon Fiber Reinforced Polymer (CFRP) Suspension Cables. Journal of Central South University, 22, 3123-3132. 王欢, 余珊, 王特. 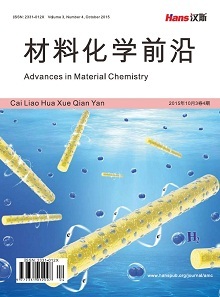 钛合金内衬碳纤维缠绕气瓶水压后轴向缩短分析[J]. 玻璃钢/复合材料, 2018(6): 34-38.